Who doesn't love looking at cars they can't afford? 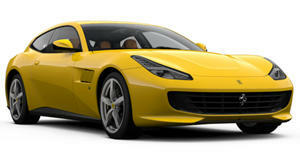 Not everyone is able to afford a Ferrari, but that doesn’t mean you can’t visit one of the . Ferrari has just announced that a record number of people in 2017 have done just that, with more than 500,000 visitors from the start of the year through November coming for a visit. Some 478,000 visitors came in 2016, but 2017 has seen a 12 percent increase compared to the same period last year. 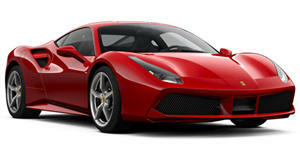 In particular, Ferrari says the has experienced a solid annual growth of visitors with a 19 percent hike in November for the equivelant of 150,000 visitors. 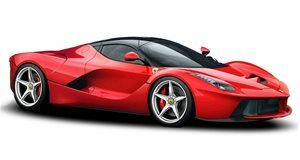 One of the big draws is the “Driving with the Stars” exhibition that sees Ferraris driven by stars from the sporting, cultural, industrial and entrainment worlds. The museum in Maranello also saw a solid increase in foot traffic, specifically 8 percent more than last year for a total of 350,000. This past year, the Maranello museum has hosted the “Rosso Infinito” exhibition as well as the “Under the Skin” exhibition, which has since been transferred to the Design Museum in London where it’ll be on display until mid-April. Also now open in Maranello is the “GP d’Autore” exhibition which features twenty works of art by nine different graphic novel artists, each piece telling the story of a different round of the 2017 F1 World Championship. “The exploits of the Scuderia Ferrari’s SF70H single-seater are immortalized in works featuring pyramids and superheroes, skyscrapers and dragons, mountains and deserts that reference modern-day stories as well as those from history,” Ferrari said in a press release describing the new exhibition. Chances are you’re not alone in being able to buy a Ferrari, new or used, but checking out these museums is probably the next best thing.